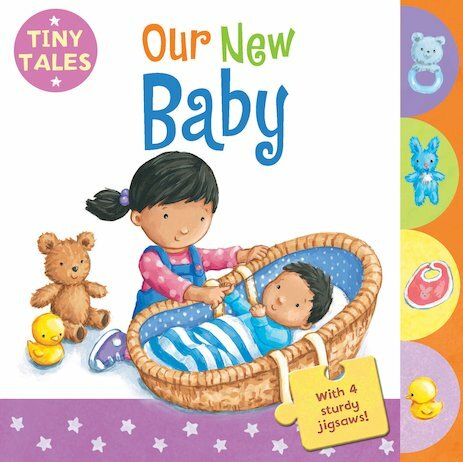 Welcome a new baby into the family with this lovely novelty book! Combining charming pictures with chunky tabs and simple four-piece jigsaws, it shows very young children what they might expect when a little brother or sister is born. Letting tots discuss lots of interesting details about the baby’s habits, toys and belongings, and talking about what it’s like to become an older sibling, the story leads to a reassuring ending which soothes anxieties. A great way for little ones to resolve their worries as they solve fun jigsaw puzzles!